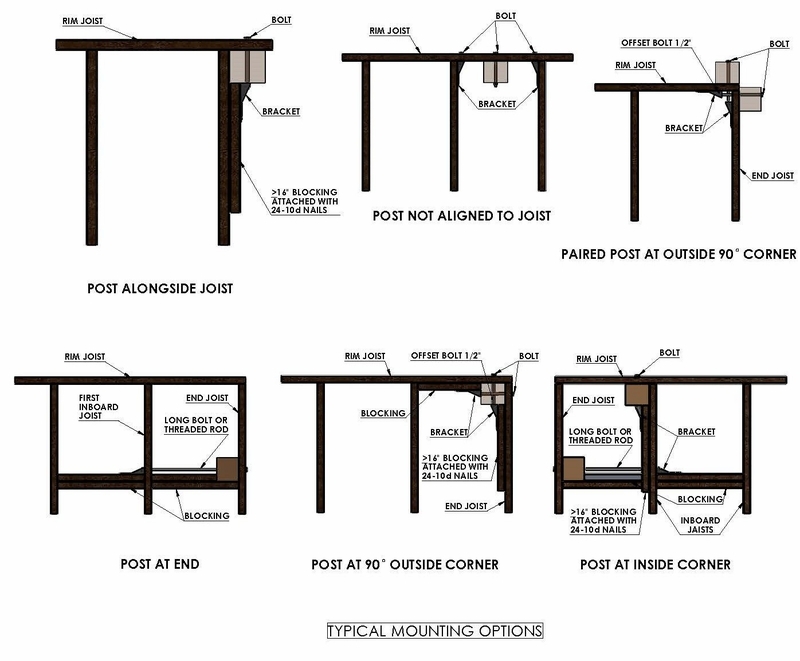 ALL POSTS ARE OVERSIZED AND MUST BE CUT DOWN ON JOB SITE. All wood products are subject to our Special Terms for Wood Orders. Open up your space with this thinner cedar post option. Our undrilled posts allow you greater control over where, how, and at what angle you apply your posts. 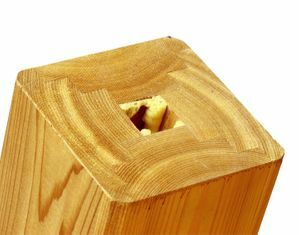 Any given post can be used for intermediate or terminal applications. Net Size: 4" x 4"
What will your POST MOUNTING METHOD be? What design and material would you like for the top rail of your frame? Use either PROFESSIONAL SWAGING SERVICE or HAND SWAGING. 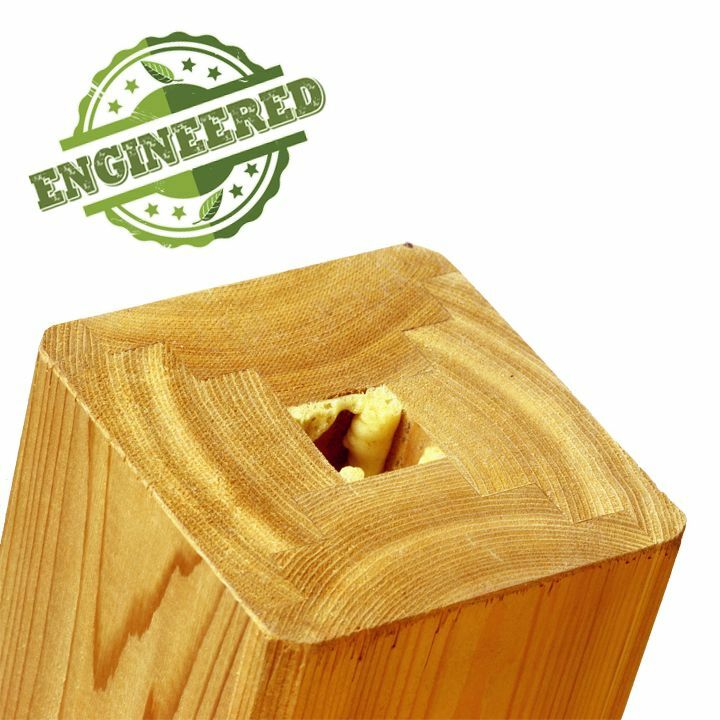 Do keep in mind that if you have both ends of your run pre-swaged using our PROFESSIONAL SWAGING SERVICE, that you'll need to drill terminal-post-size holes through all posts in your run so the attached fittings can pass through. If swaging the fittings yourself, your intermediate posts can have smaller holes to allow only the cable through. Make sure to follow code requirements when spacing your holes. This page should help. Also make sure that your posts are spaced no more than 4ft. apart to account for cable deflection and adhere to code. Don't forget to order thru post fitting assemblies to attach your cables. 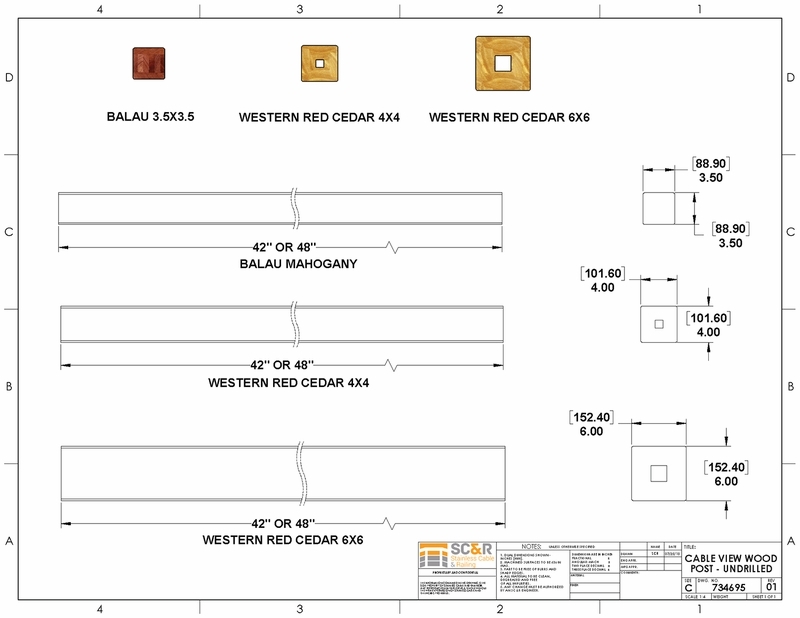 For a uniform railing frame, consider our Western Red Cedar Top Rail. For more information, check out our FAQ, WORKSHEETS, and VIDEOS. You can also give us a call at 1-888-686-7245 (RAIL) or send an estimate request form to quotes@stainlesscablerailing.com.